Manchester City manager Pep Guardiola is reportedly eyeing Juventus left back Alex Sandro as both Gael Clichy and Aleksandar Kolarov have failed to make an impression on the Spanish manager. According to Mirror, the Brazilian footballer, who is valued at £25.6m and is under contract at Juventus until the year 2020, is all set to hold talks with the Italian giants over a new extended contract which will see his release clause shoot up to £40m. Manchester City will hope to get a deal in place for the 25-year-old before the end of the January transfer window. Although the price is not a problem for the English giants, time is certainly a factor. Guardiola will be hoping to land the Brazilian to fill the big void in City’s left back position. 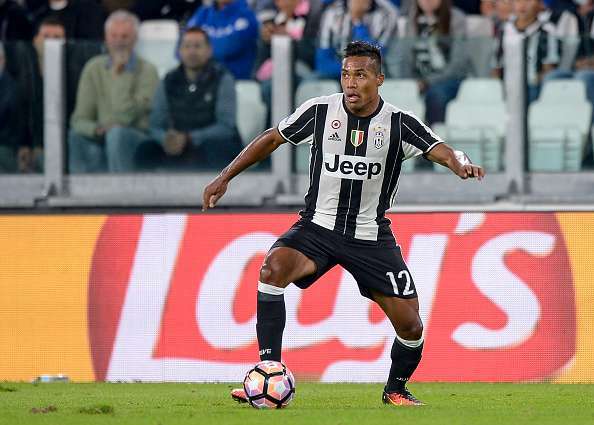 This is not the first time Manchester City have targeted Alex Sandro, as the club also were scouting him during his days at FC Porto in 2015. City did place many bids for the defender, but he was eventually signed by Juventus that year. Manchester City’s interest in the player is looking serious as the English club has sent scouts to Turin on more than one occasion to examine the Brazilian’s ability this season. Guardiola’s biggest issue with the team seems to be the left and right back positions with all the available full backs being over the age of 30. Gael Clichy and Aleksandar Kolarov have underperformed on the left side while Bacary Sagna and Pablo Zabaleta are way past their prime. On their day these four defenders can be unrivalled given their experience in the Champions League and the Premier League but with the kind of purse that City have at their disposal, they can afford the best available players in world football. Manchester City could really use a young energetic full back to further strengthen the squad and the Brazilian footballer would provide Guardiola’s team with power, pace, and skills that the Spanish manager prefers. Pep Guardiola’s men beat Crystal Palace on 2-1 on Saturday courtesy of a brace from the returning Yaya Toure. The Ivory Coast international was frozen out by Pep Guardiola following an altercation with Toure’s manager but the 33-year-old found his way back into City’s starting XI after the midfielder issued an apology to Guardiola. Manchester City are currently 3rd on the Premier League table with 27 points from 12 games.